West-Trans Equipment and HMF Australia are pleased to announce the release of the new generation HMF RCS high performance truck-mounted cranes. HMF has its root is Aarhus Denmark, where it has been building truck-mounted cranes since the 1950s. HMF cranes have been available in Australia for more than 20 years and hold a unique position – with a range of cranes between 2.5TM up to 95TM – leading the market with materials, electronics and manufacturing technology. 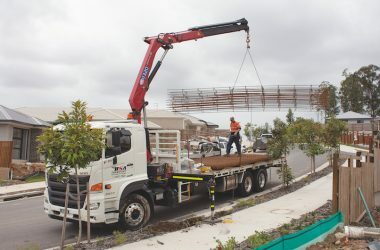 The new cranes will be launched in Australia at the Brisbane Truck Show in May and will be the benchmark in terms of quality, technology and precision in vehicle mounted cranes. Launch cranes are currently in production in Denmark and will be displayed for the first time at the show. For long-term HMF buyers, they will be familiar with the twin power link design, familiar radio remote packages, and traditional red and black colour scheme with the red, white and blue logo. What makes the new range of RCS cranes so special is hidden beneath the skin. The new range feature the use of super high-grade steel, which allows them to be built from thinner, yet stronger material. This gives the benefit of greater lifting capacity and a lower tare weight. 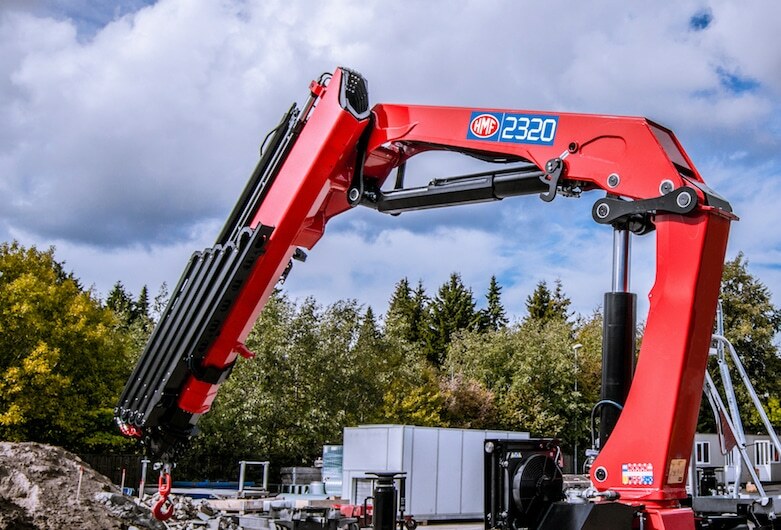 Based on a recent study, West-Trans Equipment identified that for a comparable performance crane to the market leading brand, in the 25TM rating category, the HMF crane is over 300kg lighter. The new crane range operate high-precision control valves, tied to their tried and tested radio remote control systems. Using any of the HMF RCS cranes has the feeling of using good quality tradesmen’s tools, with smooth, finely adjustable movements, controlling heavy loads at long reaches with remarkable accuracy. They will also operate at higher hydraulic pressures, taking the compact, lightweight, yet high performance ethos of the HMF brand even further. 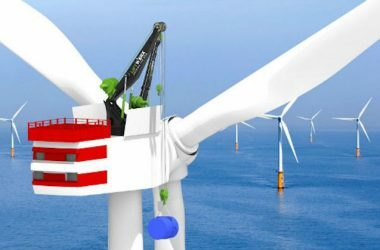 The new models will be designated as the 1620K, 1920K, 2320K and 2820K cranes. Broadly this means 16TM, 19TM, 23TM and 28TM rating, the ’20’ designating two power links. The power links connect to the primary cylinder between the column and boom and between the boom and jib. The links are an established feature of HMF high-performance crane design, and improve the linear movement and controllability of the crane when working close to the column. All will be available in a range of jib extension configurations, with reaches on the primary jib up to 21.5m on the 2820K8, and the option of fly jibs for even greater reach. Build quality has always been a hallmark of the HMF brand. 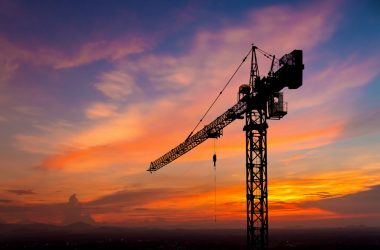 Cranes are tested during development, with over 100,000 full capacity test lifts without failure a requirement before cranes a released to the market. Robotic welding delivers high-quality welds every time and the unique EQC corrosion resistant surface coatings protect your investment for its entire working life. Every crane is tested in house at HMF before it leaves the factory. Cranes can be ordered now and will be available for delivery by mid-year.